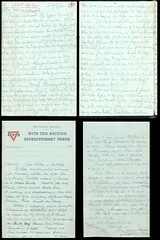 Christmas at the Front: letter from soldier M.A. Russell, 28th December 1915, France. Sculptor Patrick Strzelec offers art lovers some perspective on his latest project. "Negotiation" can be seen outside Dickinson College's Weiss Center for the Arts. The University of Washington's 34th Annual Samuel and Althea Stroum Lectures in Jewish Studies featured Professor Yael Zerubavel, director of The Allen and Joan Bildner Center for the Study of Jewish Life at Rutgers University. Zerubavel begins the three-part series, Encounters with the Past: Remembering the "Bygone" in Israeli, with a discussion of the ways in which antiquity has been introduced into Israel's commemorative landscape as the foundation of Zionist ideology and claim to the land. Social work practice is based upon assessments of situations and decisions about strategies to be adopted. Sometimes there can be a tension between the law and working within social work values; the law provides the framework for practice. In the next section you are going to examine the legal structures and processes within which social work skills are applied. Most likely, you are reading this course because you feel unsure about your ability to do yourself justice in exams. You may never have taken an exam and are wondering how to prepare yourself. It may have been a long time since you took an exam, and you feel a need to refresh your technique. You may be looking for reassurance and advice because you may have had a bad exam experience in the past. Whatever your reason, we hope that this course will help. Edward Fife talks about how he handles questions from his family and friends when they ask about his experience teaching in prison.